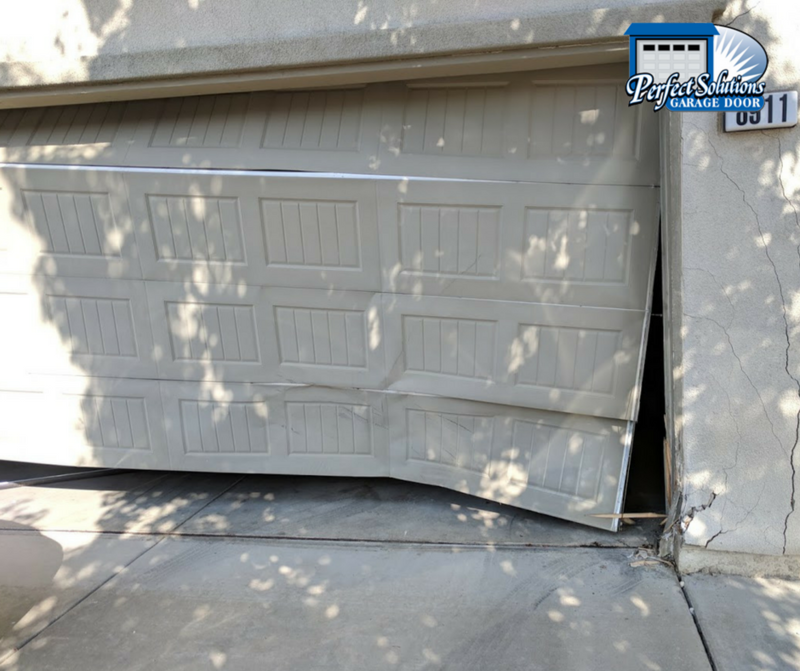 We got a call from our client Jane that she was having a small problem with her garage door and we needed to get out there right away! Yikes! Jane had accidentally pressed the gas pedal, not the brake pedal when driving out of her garage door that morning. She ran into her garage door, as you can see. But she also hit the side wall of her house next to the garage door. As you can see in the image above, there was a lot of damage to both her door and her wall. Thankfully we were able to fix both. Perfect Solutions owners are also licesned contractors, so we can perform this work together with our trust team of home repair experts. 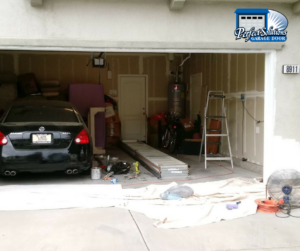 We removed her garage door completely as well as the damaged wood and stucco from inside and outside the garage. We then lifted the header and replaced all the damaged studs. We moved onto repairing the drywall, insulation and stucco of the outside of the home. 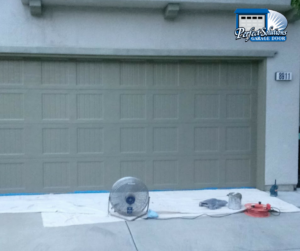 Once all that tough work was done, the door was reinstalled and primed. 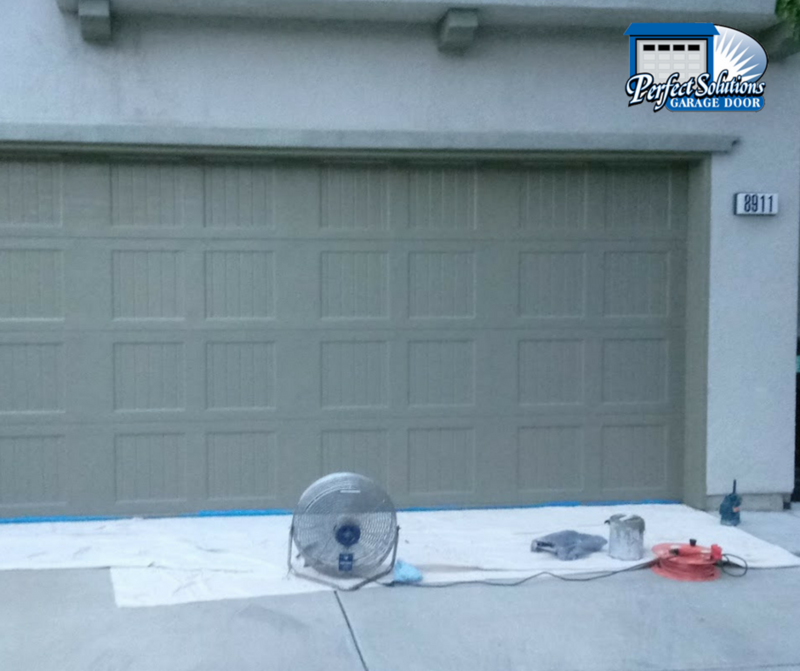 The last step was painting the garage door a new color to complement the exterior of the home! Looks good! 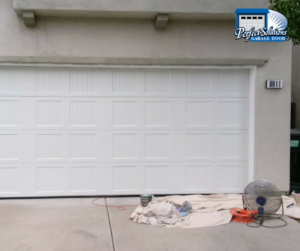 Jane was admittedly a little embarrassed about her driving mistake, but was pleased that everything was repaired quickly, and she got to pick a new color for her door to give a new look to her home’s exterior. We love painting garage doors, even ones that aren’t damaged, to give a simple, and cost-effective upgrade to a home’s curb appeal. 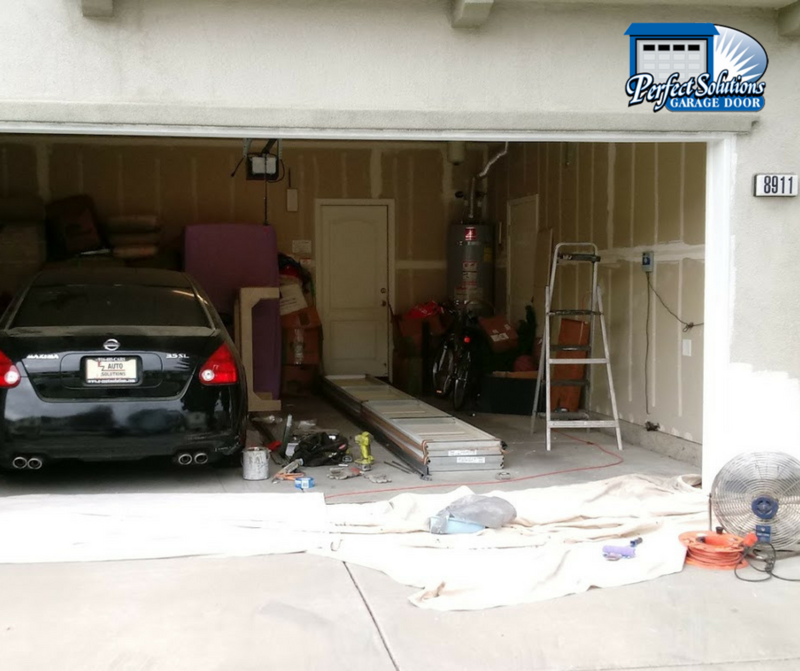 The most important thing is we repaired Jane’s garage quickly so she could feel secure in her home and have a safe place to park her car.